Colorado Parks and Wildlife hopes to capture and tag bighorn sheep in the Weminuche Wilderness to better understand the elusive animal’s movements. Wildlife officials will take to the air this week to gain a better understanding of the bighorn sheep as part of a five-year study. “We don’t know a lot about how these bighorns use the landscape,” Brad Weinmeister, a terrestrial biologist for Colorado Parks and Wildlife in Durango, said in a prepared statement. Wildlife officials through November and early December will use a helicopter in the hopes of locating the elusive animal and then fit them with GPS collars to follow their daily movements. Colorado Parks and Wildlife said in a prepared statement that tracking the animals will allow wildlife officials to determine what areas of the Weminuche Wilderness bighorns use. And, crews may swab nasal tissue and take blood samples to help determine if the bighorns have been exposed to diseases, the news release said. The aim is to capture and tag up to 17 animals. Six bighorns were tagged with GPS collars in March 2017. 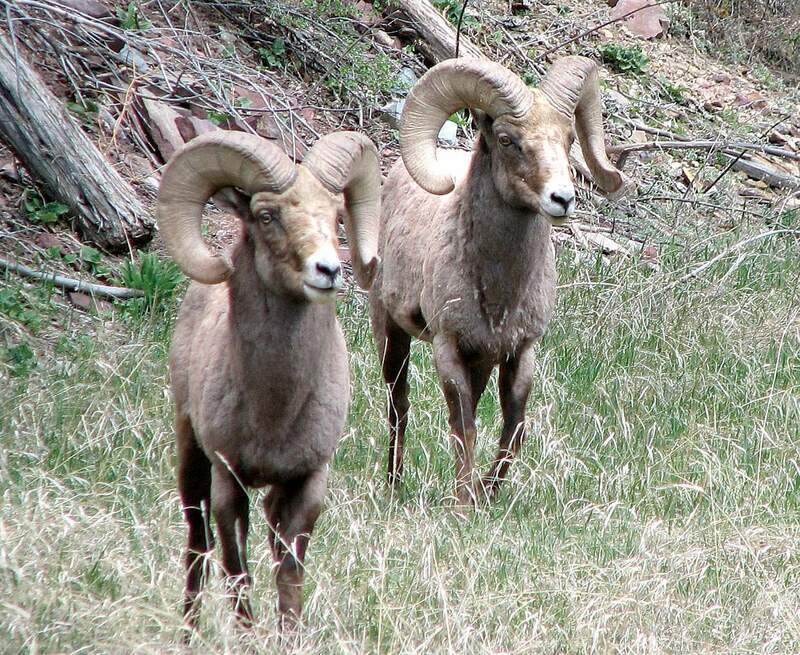 Colorado Parks and Wildlife estimates there are 405 bighorns in the Weminuche Wilderness, between Vallecito Creek and Wolf Creek Pass. These herds have been wrapped up in controversy for more than two years. In February 2016, the U.S. Forest Service released a proposed decision to continue domestic sheep grazing in the Weminuche Wilderness, despite concerns that domestic sheep can spread disease to wild bighorn herds. The proposed determination elicited heated public comments both for and against the continuation of grazing in the Weminuche Wilderness, Colorado’s largest wilderness area. Earlier this month, Jonina Vanderbilt, spokeswoman for the Forest Service, said the agency has not yet made a final decision on the matter. “The decision was delayed in part to collect additional information on bighorn sheep movement to better understand the likelihood of interaction between bighorn sheep and domestic sheep,” she wrote in an email. Vanderbilt wrote that any timeframe for a final decision is based upon Colorado Parks and Wildlife’s research. “Uncertain impacts from potential domestic sheep disease transmission to bighorn sheep populations necessitate further study of the issues,” she wrote. Those sheep belong to local rancher J. Paul Brown, who has said in previous interviews the use of public lands for his livestock is critical to keeping his business alive. But at the core of the issue are the survival of wild bighorns, which are highly susceptible to diseases transmitted from domestic sheep if the two come in contact, said Dan Parkinson, an advocate with Backcountry Hunters and Anglers who is helping a citizen scientist effort to monitor bighorn and domestic sheep movements. “We need separation or it’s a matter of time until we see a (bighorn) herd die-off,” he said. In 2016, the 9th U.S. Circuit Court of Appeals upheld a 2010 Payette National Forest Service decision to phase out 70 percent of active sheep grazing permits because of concerns about disease transmission. It is CPW protocol to kill any bighorn sheep known to come into contact with domestic sheep, so the animal doesn’t bring disease back to its herd. In 2016, six bighorn were killed. CPW reported that no bighorns were killed in 2017 and 2018 as a result of coming in contact with domestic sheep.